Six months ago or so I learned about jack fruit and it’s use as a meat substitute, more specifically for carnitas. I viewed the video by The Urban Housewife and decided that I had to try it. Initially I couldn’t find the jack fruit in brine (which everything I had read was very specific about) so I attempted to use the variety in the syrup. Since it was sweet to begin with I decided to mimic a recipe that was traditionally sweet, Bool Kogi, which is a style of Korean BBQ. It was okay. Sweeter than I was expecting. After posting the recipe, friend of the blog, Nicholas told us where we could find jack fruit in brine. I went out and bought it right away but finally got around to making it. So I was never a fan of carnitas or salsa verde so I opted to make my own recipe. I spent an afternoon reading pork taco recipes until I came up with the recipe below. I feel it is only fair to mention now that I am not finnicky when it comes to much except for in the area of fruits. I don’t care for papaya, kiwi, mango or most tropical fruit so when I say I still didn’t care for the jack fruit, I don’t think it is due to the recipe. The ingredients tasted great, I was even ok with it when I was tasting it in the pot, however having to eat the entire taco was a challenge. I have opted to post the entire recipe so that if you have made jack fruit before you may tell me where I went wrong. We make the little vegan try things three different times before she may say she doesn’t like something and I will follow this rule with one more attempt. Perhaps if you are in Seattle and you know of a recipe that prepares it let me know. I would love to see what a professional does with it! Saute ingredients from green onion to paprika in olive oil for 15 minutes over medium heat. Stir in remaining ingredients and reduce heat to low. Cover and stir every twenty minutes, breaking up the jack fruit as you go. I let it cook for two hours. 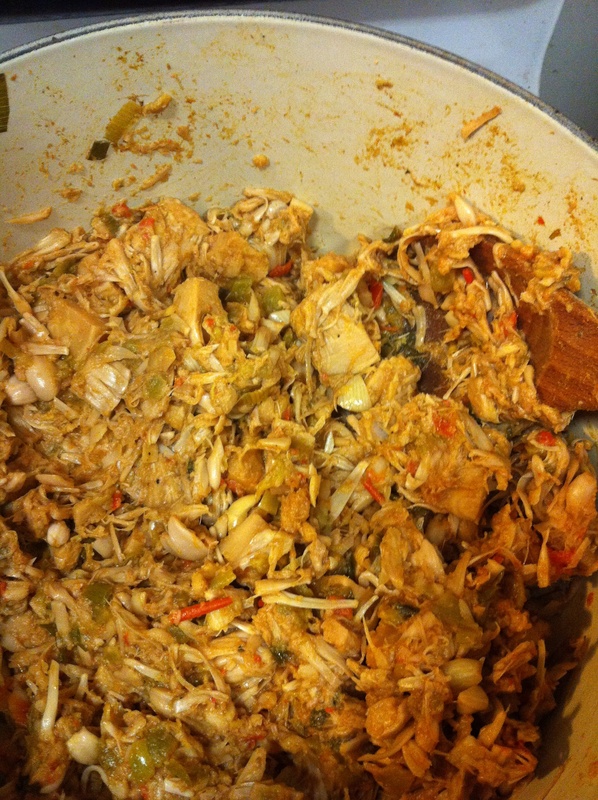 Gallery | This entry was posted in Main Course and tagged jackfruit. Bookmark the permalink.